Shin splints can be defined as an inflammation of the tissues in the lower leg causing pain with exercise . The disorder is also referred to as medial tibial stress syndrome. Shin splints are an inflammation of the tendons, muscles, and periosteum most commonly seen in those who walk, jog, or run on hard, uneven surfaces. 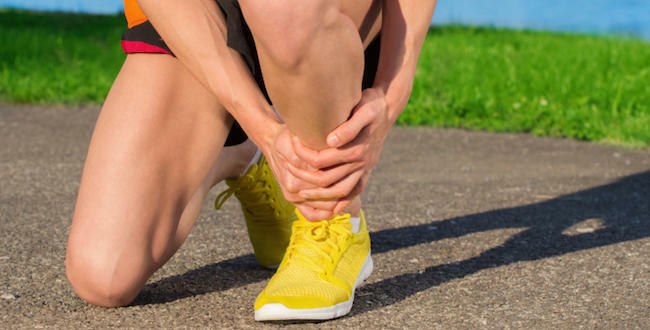 The resulting pain may indicate either anterior shin splints, with radiation down the front and lateral leg, or posterior shin splints, extending down the back and inner leg and ankle. Depending on the body tissues involved, shin splints may indicate myositis (an inflammation of the muscle), tendinitis (inflammation of the tendons), or periostitis (an inflammation of the tissue covering the bone). The inflammation of shin splints is caused by an imbalance of the calf and shin muscles used to mobilize the forefoot with exercise. The associated pain in the lower leg usually worsens with exercise. The identification of shin splints is often made by the affected individual’s observation of the symptoms. X rays of the lower extremity may be requested to prevent a misdiagnosis when stress fractures are suspected. Exercise should not be resumed until it can be performed without pain. Switching from high-impact workouts to swimming or cycling will allow for healing to the inflamed areas. A gentle massage with lubricating oil will provide comfort and decrease swelling. An ice massage may also facilitate healing, using a circular movement over the affected area three to four times daily for 10-15 minutes. Some find heat more comforting and beneficial, applied via a heating pad or lamp, a hot shower, or whirlpool. A well-balanced, high-protein diet, dietary antioxidants, and essential fatty acids may also promote healing. As the patient’s activity level may be lower than usual during the initial healing phase of shin splints, adequate fluid and fiber intake is vital to promote normal bowel function. After at least a two-week rest period, a gradual resumption of exercise is recommended. Icing the legs for 5-10 minutes before stretching and after cool-down is recommended. Crisscross taping of the anterior leg maybe be helpful for the individual with anterior shin splints, as well as raising the heel portion of the shoe approximately one-eighth of an inch. The individual with posterior shin splints should remember to hold the body erect rather than leaning forward while running, and to avoid landing directly on the toes. An extra pair of socks for warmth while running is also recommended. For minor discomfort associated with shin splints, over-the-counter anti-inflammatory medications such as ibuprofen or aspirin may provide relief. If these are found to be ineffective for pain relief, prescription-strength, non steriodal, anti-inflammatory drugs (NDAIDs) may be ordered by the physician. Physical therapy sessions and ice and/or heat application may also be helpful. A complete resolution of the pain associated with shin splints requires an adequate period of rest followed by a slow rehabilitation or gradual resumption of activity ranging from two weeks to two months. Resuming activities too soon may result in a prolonged healing time and recurrence of symptoms. The change in gait and posture associated with shin splint pain may result in inflammatory or arthritic changes in the local joints, i.e. the ankle, knee, hip, or back. Those who exercise by running or doing high-impact aerobics should be sure to wear well-fitting shoes that offer adequate lateral and arch support with cushioning for the ball and heel of the foot. Footwear should be reevaluated for adequacy of support and cushioning about every six months. Warming up before and cooling down after the activity is vital, and the shins should also be kept warm during exercise. Jogging on soft surfaces such as dirt or grass is preferred over hard or uneven surfaces.